KENNY Miller says Rangers must stop giving teams a head start if they are to succeed in the Premiership this season. 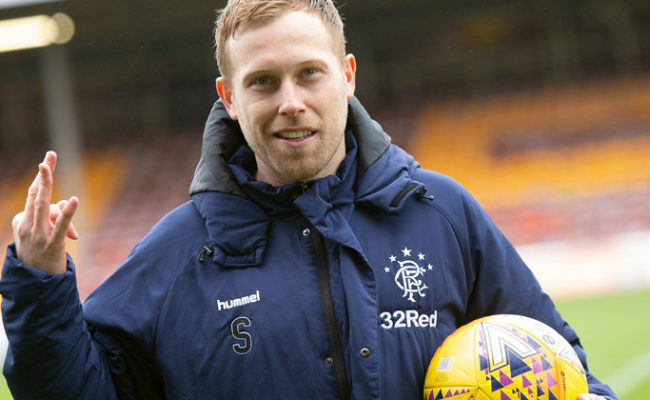 The striker was speaking after his side could only manage a 1-1 draw away to Kilmarnock – Kris Boyd had fired the home side ahead on the half hour mark, much like Motherwell had done a week earlier at Ibrox. 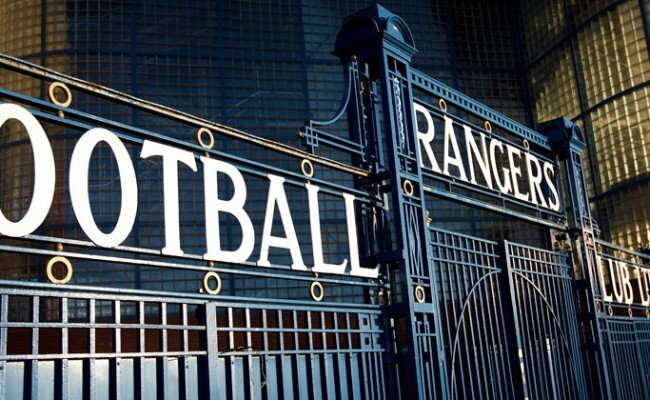 Miller stressed it was important to stop chasing games with the season’s first Old Firm fast approaching and admitted the Gers need to stretch their displays to 90 minutes. “It was a frustrating night; it took us to go a goal down to really click into gear, any type of gear and them to go down to 10 men. “It was a great free-kick from Tav to get us back into it and when they go down to 10 men you’re expecting us to go on and hopefully seal the three points. 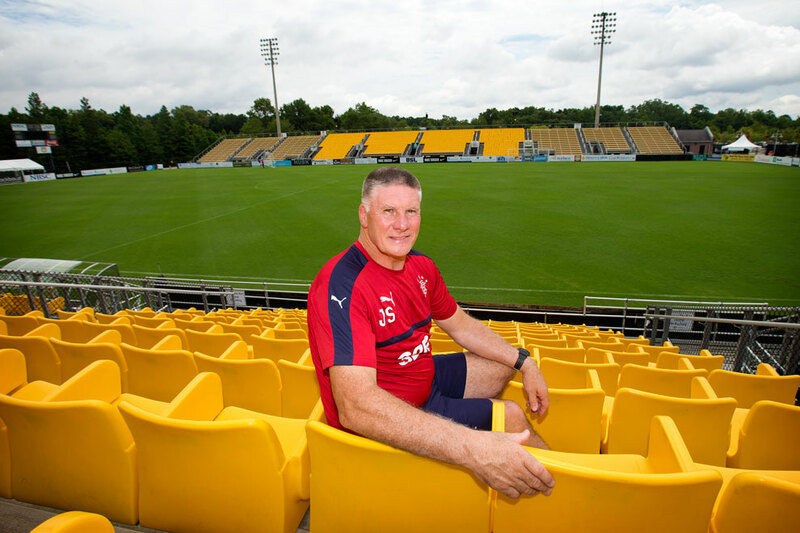 “There was a lot of pressure without any real chances to score and their goal was under siege for the last 20-25 minutes but we just never seemed to get that break in the box to create that game winning chance. “We spoke about it last week after Motherwell and they are very similar games, you go 1-0 down and get a goal at a similar time and then you have to go and try and win it. “But we keep giving teams a goal to start and we need to resilient and hard to break down, we must start games like that and if we can get up to that tempo and intensity from the kick-off then our job will be a lot easier. “We need to move the ball quicker; we need to have more penetration, whether that be running forward or passing forward. “You saw that in the second-half against Motherwell and again here where it was a lot more evident than the first-half. It was a game of much controversy with Miller’s manager Mark Warburton claiming his side should have had been awarded four penalties. 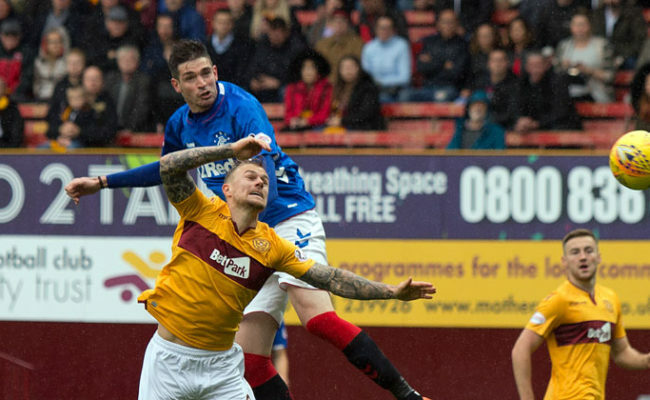 Additionally Greg Taylor was dismissed in the second-half for a wild challenge on Joey Barton. 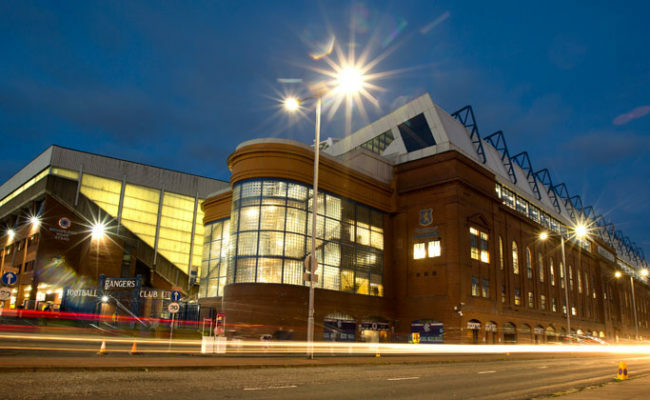 The evening had started with two blows to the Gers plans when Danny Wilson had to be withdrawn from the starting XI when a calf problem flared up in the warm up and then Joe Dodoo was stretched off with just 13 minutes played. Miller said: “I would have to see the penalty claims back, I thought as much as Barrie got the cross over in the second-half the lad has wiped him out after the ball was away – so that one for definite could have been a penalty. “I never really saw the challenge for the red card, I knew it was late and Joey did say it was bad tackle and if he is saying it was a bad tackle then it must have been! “We have a strong squad this season, a lot stronger than we had last year so everyone knows the job that they have to come in and do if there are injuries. 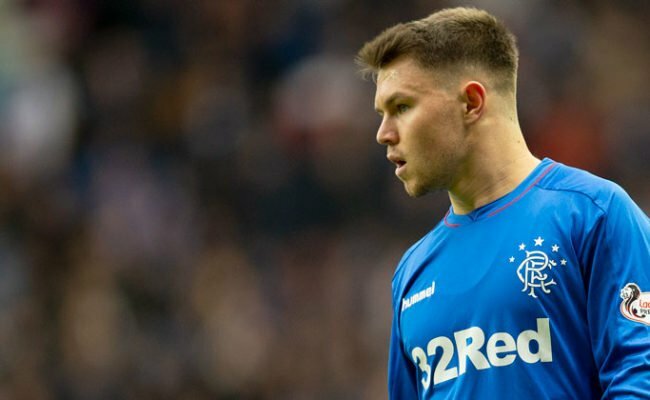 “Clint came in and is more than capable of filling in for Danny and when Joe Dodoo went off Joe Garner was there to replace him – there are too many Joes!